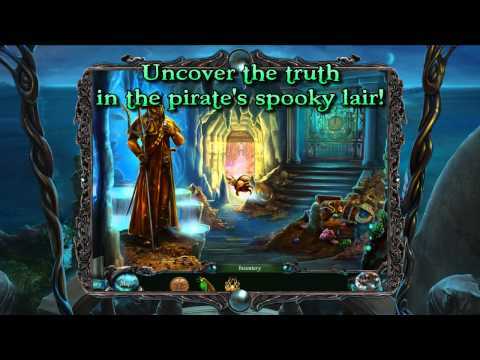 Reveal Davy Jones’ darkest secrets and defeat the nefarious sea devil once and for all! Museum curator Sarah Black would never have imagined where her study of Davy Jones’ legend would take her. After mentioning his name during a lecture, the infamous ghost pirate’s ship suddenly appears on the horizon, and Davy Jones himself breaks into the museum to kidnap Sarah and her daughter. Now, in order to save her mother’s life, Sarah’s daughter Cory has agreed to a lifelong deal with the sea devil. Join Sarah in this unbelievable journey to escape the wrath of Davy Jones and rescue Cory. Discover surprising secrets about the otherworldly origins of the pirate’s island and awaken strange stone creatures, the guardians of Davy Jones’s memories, to delve deeper into the sea devil’s past. Is Davy Jones as evil as legend makes him out to be? Or is he himself the sad victim of circumstances? Find out for yourself in this heart-pounding odyssey!